Coffee lovers are attached to their coffee scoops. While some wonder how big is a coffee scoop, others don’t care, as long as they have their favorite one within reach. Unfortunately, coffee scoops will need to be replaced at some point, since most are made of plastic that tends to crack over time. Before buying a replacement for your beloved coffee accessory, you first need to know how big it really should be, which tends to be mystery for the ages. The first step in solving the mystery involves getting the perfect ratio of coffee to water. This varies, depending on the type of coffee that you’re making. For example, two tablespoons of ground coffee for every 8 ounces of water is the most popular method of measuring. However, if you like you coffee a bit weaker or stronger, you’ll want to add either less or more coffee. Sometimes the standard coffee to water ratio doesn’t work, so you’ll have to resort to the instructions on your coffee packaging. 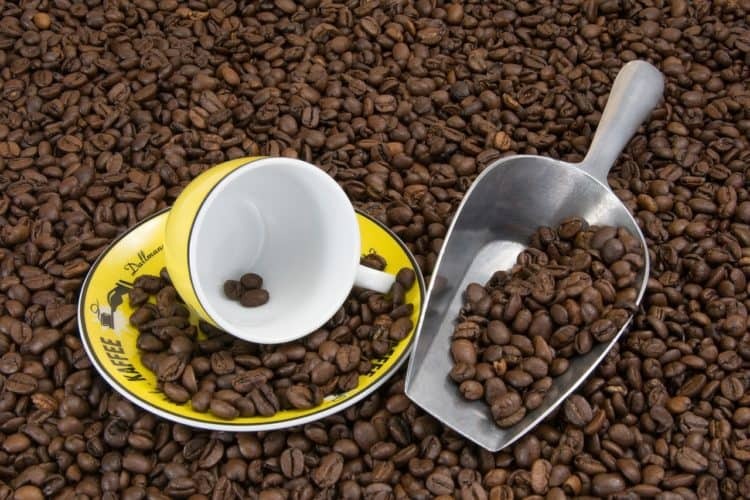 It can be tough to know what size coffee scoop you should be using when the instructions on the back of the can or bag use a variety of measurements that involve the metric system and something other than the standard 8 ounce coffee cup size. So, when the instructions call for .32 ounces of ground coffee per 6.5 ounces of water, how big is a coffee scoop? You might be stuck converting things in your head – or you can make a test pot of coffee and hope for the best. What Size Should a Coffee Scoop Be? Most coffee scoops tend to be in the one or two tablespoon range. That’s the answer! Of course, you can always choose a larger or smaller one, but if you want to make coffee quickly and easily, stick with one of these two sizes. Traditional coffee scoops tend to be two tablespoons, as opposed to one. All that really matters here is that you know how large your coffee scoop is so that you measure your grounds accurately. Otherwise you might end up with an unpleasant cup of coffee. For the most part, coffee scoops are the same things as standard measuring spoons. This means that you can use a measuring spoon from your kitchen to measure out your coffee. However, coffee purists have a special scoop that they dedicate solely for the purpose of setting up their daily pot (or cup, depending on the machine) of coffee. You can buy coffee scoops made from either stainless steel or plastic. Both will work well, but obviously the metal ones will last longer. Now that you know what size a coffee scoop is, you can make that perfect cup of coffee. You can also purchase your new favorite coffee scoop, hopefully one that will last you for plenty of years to come. Isn’t it nice to have a solution to the mystery?